Soundsmiths 'Selective Hearing' use works from the A4 archive as inspiration for the creation of a musical landscape. Selective Hearing is a record label and production entity who performs a series of listening sessions at A4. 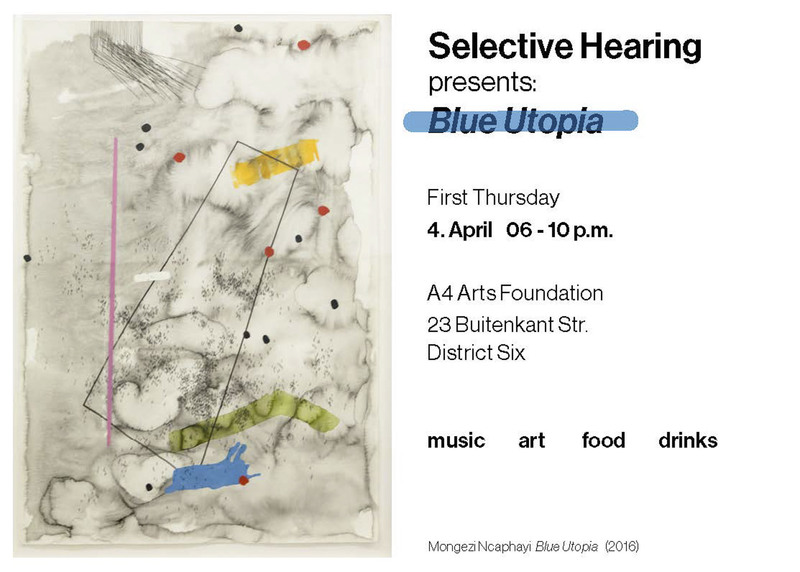 For the first session, Selective Hearing chose Mongezi Ncaphayi's 'Blue Utopia' (2016) as creative material from which to realise a musical set.